This Chandra X-ray Observatory image shows Westerlund 2, a young star cluster with an estimated age of about one or two million years. 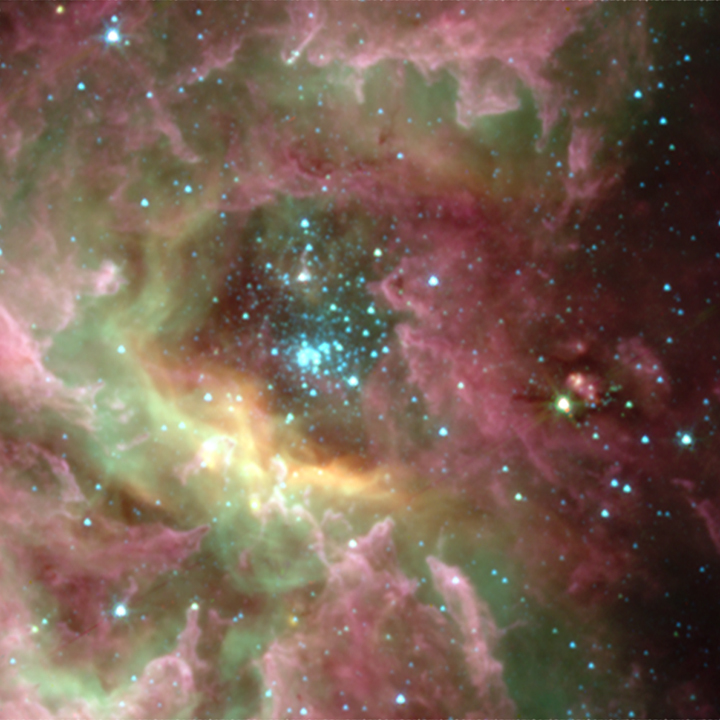 Until recently little was known about this cluster because it is heavily obscured by dust and gas. However, using infrared and X-ray observations to overcome this obscuration, Westerlund 2 has become regarded as one of the most interesting star clusters in the Milky Way galaxy. It contains some of the hottest, brightest and most massive stars known. This Chandra image of Westerlund 2 shows low energy X-rays in red, intermediate energy X-rays in green and high energy X-rays in blue. 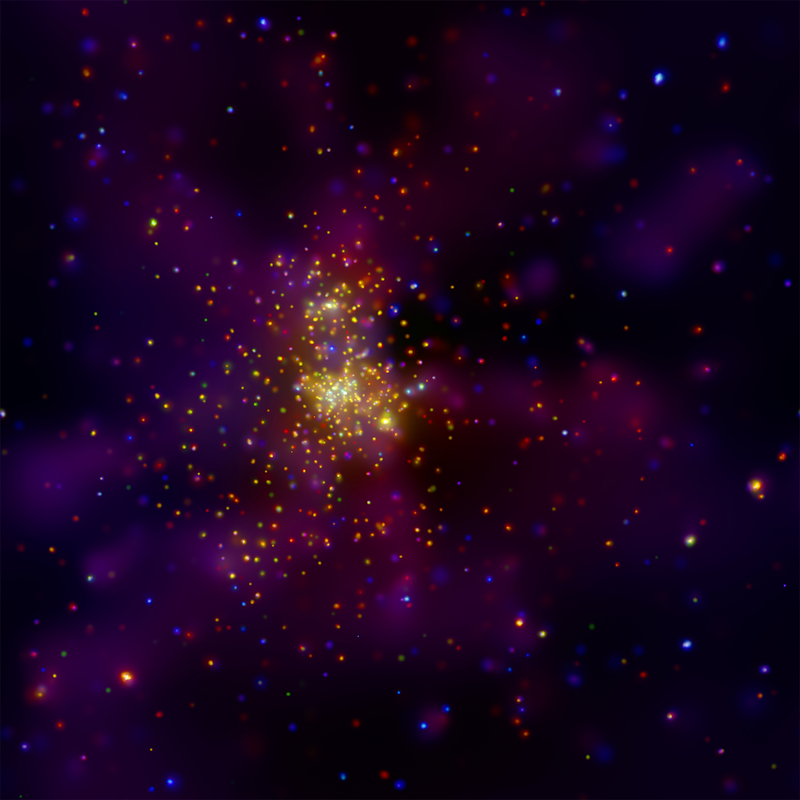 The image shows a very high density of massive stars that are bright in X-rays, plus diffuse X-ray emission. An incredibly massive double star system called WR20a is visible as the bright yellow point just below and to the right of the cluster's center. This system contains stars with masses of 82 and 83 times that of the Sun. The dense streams of matter steadily ejected by these two massive stars, called stellar winds, collide with each other and produce copious amounts of X-ray emission. This collision is seen at different angles as the stars orbit around each other every 3.7 days. Several other bright X-ray sources may also show evidence for collisions between winds in massive binary systems. Scale Image is 8.4 arcmin across. Coordinates (J2000) RA 10h 23m 58.10s | Dec -57° 45' 49.0"
Thanks so much for notifying us of this error. We have updated it. Constellation name of Westerlund 2 may be not Centaurus but Carina.